2004’s Spider-Man 2 is fondly remembered for being a pretty good movie tie-in game with some amazing web swinging. New York is a blast to zip through, but one speedrunner decided to see how fast they could complete the game without using its most exciting feature. Slyfincleton decided to speedrun their way through Spider-Man 2 without ever using the superhero’s iconic web swinging. 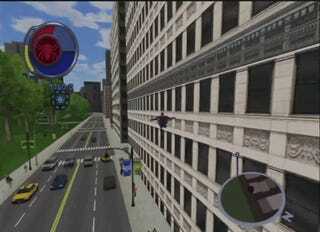 In Spider-Man 2, the fastest mode of travel is to toss out a line of webbing and swing around the city. Slyfincleton forgoes all of this in favor of furious wall running and long jumps that turns Spider Man into a bouncing daredevil, ping ponging from building to building like a jittery flea. The only time that he ever employs webbing for movement is a web zip, which allows Spider Man to quickly shoot some web to pull himself forward. It gives a quick burst of movement but can’t quite match the momentum of a full swing. Using zips might feel like a bit of a technicality, but it proves essential for sequences where Spider Man is meant to spend extended time in the air, such as a battle above the Hudson River against some UFOs created by the special effects mastermind Mysterio. Slyfincleton’s run is a bit of a gimmick; it’s the only complete “no swing” run. He finished with a time of 1:43:31, bouncing all over the place. It’s a silly run that shows off how nimble Spider Man is even when he’s not web slinging.